Ciro Madd’s head is inhabited by sixties’ rock icons, flashbacks of children’s choir rehearsals, noises from his shoegazer youth and traces of many bad trips. In the 90’s, Ciro left his hometown to live in São Paulo, where he set up his bedroom studio in the basement of an Italian neighborhood. Surrounded by distortion pedals, fourtrack recorders and a piano from the XIX century, he has recorded the melodies that go through his mind, sculpting them as a grayish psychedelia of rare pop sensibility. 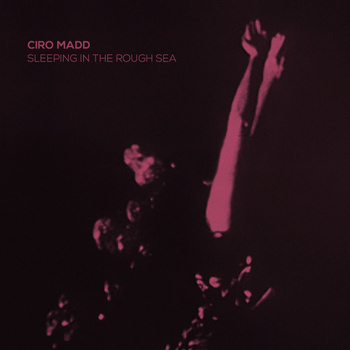 Assembling some of these tracks produced over the 00’s, Sleeping in the Rough Sea, Ciro Madd’s debut, was just released by Pug Records.